When we think of pollution, we usually think of chemicals introduced into places where they shouldn’t be: fertilizer and pesticide runoff, diesel fumes, plastic debris along roadsides, and carbon dioxide from industry and transportation. Pollution is often described as the addition of any substance or any form of energy to the environment at a rate faster than it can be dispersed, diluted, decomposed, recycled, or stored in some harmless form. So how does light pollution fit into this? Is it really pollution at all? Light pollution is unwanted or excessive artificial light. Our first impulse may be to call it a nuisance, since it may not seem to be in the same league as air and water pollution. However, since light pollution disperses energy, and this energy disrupts the environment, it can legitimately be considered a form of pollution. Light pollution affects the human environment in several ways. Perhaps most noticeable is that the night isn’t quite as dark as it used to be. The collective sky glow of streetlights, house lights, coach lights, and interior lighting brightens the night sky and makes stars harder to see. Paradoxically, artificial nighttime illumination can also make seeing things at ground level more difficult, as anyone who has ever been dazzled by the glare of an oncoming automobile’s headlights can attest. There are other issues as well. Light interferes with sleep cycles, so people in areas polluted by urban sky glow may suffer interruptions of their normal circadian rhythms. The glare from a neighbor’s bright backyard floodlight can wake people from their sleep, and the constant background sky glow and misdirected light from nearby commercial parking lots and streetlights can also affect sleep patterns. The circadian rhythms of other animals—especially nocturnal ones like migrating birds, foraging mammals, and insects—can likewise be affected. Many bird species fly long distances at night, some using the stars and the Moon to navigate, and sky glow can disrupt this process, causing many birds to become disoriented over urban and suburban areas. Consequently, some fly into illuminated towers and other brightly lit structures, such as houses and office buildings. 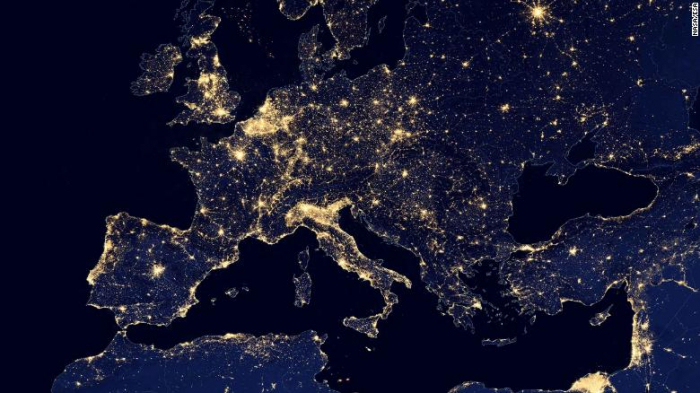 Fortunately, reducing light pollution may be easier than reducing other forms of pollution. In some areas, urban sky glow can be reduced simply by turning off lights when they are not needed or by eliminating them from certain places completely. In other areas, reducing light pollution may involve making physical changes to the light sources themselves, such as by adding shielding fixtures (called cutoff luminaires) to lighting systems to focus the light where it is needed.